So you'd think this is something that's super easy- after all, there are so many photographers out there right? Umm.. it does require a bit of an effort from your end to get a fabulous result at the end of it all, and here are some things we thought you should know before you decide to book your photographer- things that are gonna keep you right on track and make you feel so much more sorted about it! This is essential, which a lot of couples tend to skip. 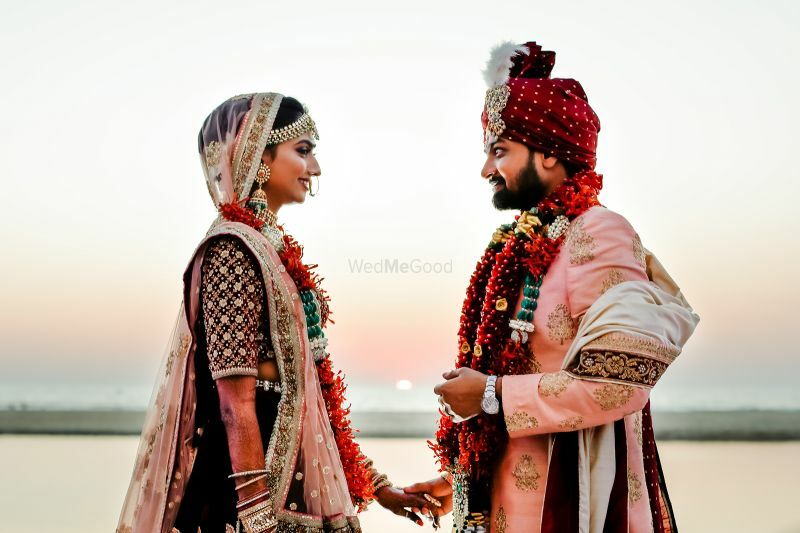 Do some good research on WedMeGood or on Instagram to check out what's latest in wedding photography and to make things easier for you. Do this at least a month before you start the booking process! Are you having a night wedding? Then no point checking out daytime shots of their work! Do you like posed shots, candid ones or documentary-style wedding photography? Do you like heavily edited photos with filters and effects or natural-looking ones? Every photographer has their own style, and while you may think they are similar, on closer research you will figure out the difference. 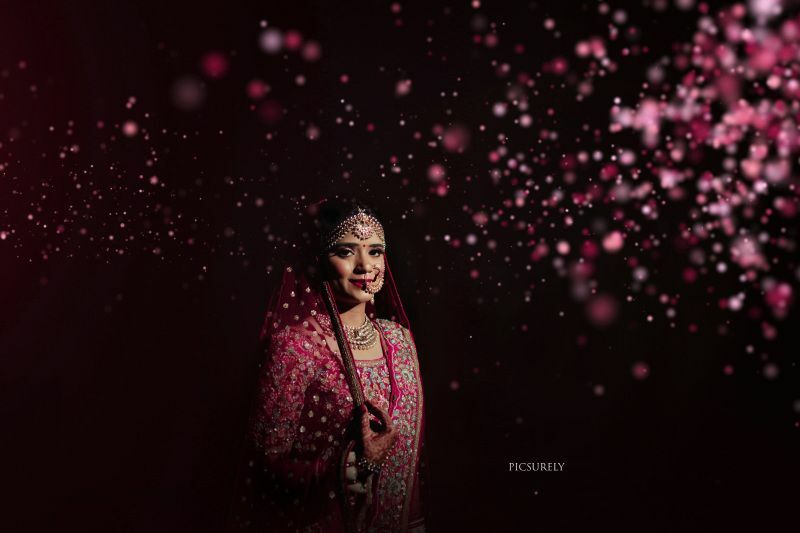 You may louuuve the work of a certain photographer, but if he is out of budget, then there are some hacks- you could work smart- opt for a lesser known candid photographer for the smaller functions and save the more expensive ones for the wedding and reception. Or just get a photographer who can give you a complete package within your budget. Another great hack is to let go of the girl's side and boy's side photographers separately and combine to money to get a common nice photographer- they have teams that can visit both sides at the same time! Always have at least three photographers of the same caliber on your shortlist. In this way, you won’t be disappointed if your first choice is not available. While availability is of course the biggest factor, you should take a break up from them for everything and then compare their work and their prices to pick what suits you the best. 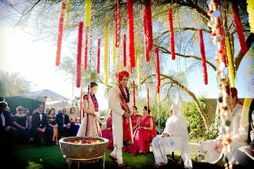 We'd say start as soon as your wedding date and venue is fixed, because the good photographers tend to be in demand, especially if your wedding is happening during the wedding season. 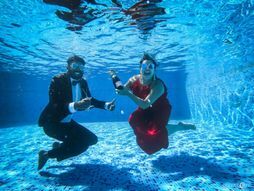 So if you have an 'in-season' wedding, then book your photographer 8-9 months before, especially if it is a known name, otherwise, no later than 6 months ideally! Communication is the key! Speak to your photographer before and while booking to get a clear picture of how it's going to be. It'll help you get comfortable with them. Also speak closer to the wedding when you can ideally decide a lot of things. Make sure they know what services and deliverables you're looking for. Are you looking for something extra like drone photography or maybe a coffee table book instead of an album? Then ask them beforehand and also get a quote- like for example, drone photography would cost about 10K a day extra. Make sure you tell them before so that they can carry the extra equipment accordingly. If you're getting a lot from the same photographer, then you can ask for a few complimentary deliverables like maybe a bridesmaid shoot or post wedding shoot in the hotel, then you can ask for these things, and we're sure a lot of photographers would be willing to oblige! Big photographers: 50 percent at the time of booking, 50 percent on the wedding day before starting shooting. Mid-level photographers: 25 percent at the time of booking, 25 percent on the wedding day, 30-50% before/after deliverables. Newbies or small photographers might be very flexible with their payments. Raw dump: Some might give it a day-week before the wedding, others might not give it at all. So discuss this beforehand. Processed photos: This might take about a month to 45 days after the wedding. Album: Now this one also depends on when you pick the photos out after the photographer gives it to you. After you submit the picked photos, then it might take your photographer anything between 1-3 months to give you the completed album. So a good ballpark figure would be 3-6 months after the wedding to get your album in hand. Videos: Modern day cinematographers are used to giving you a 4 minute trailer, and a longer around 40 minute film. So you need to inform your photographer before hand that your performance reel needs to be captured seperately. So it takes about 2 months to get the trailer ready, and about 4 months for the long film. Destination wedding? Some extra pointers! 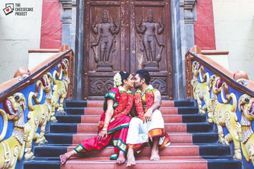 So if you have a destination wedding, then there are some more things you'll have to know before-hand. So basically this is how it works- photographers do not charge you extra for shooting a destination wedding, but you have to pay for their tickets and their stay. So discuss with the photographer about how many people will be required to come down in their team, and then you can go ahead and book accordingly. You can choose to make them stay at the same hotel as you or somewhere else, but then you will have to cater for their transportation as well. Feeling more sorted now? Find your dream photographer in the WMG Vendor Gallery! Photographers Reveal: New Ideas for Wedding Albums! Brides! Ensure To Ask These 10 Questions To Your Wedding Photographer, Before You Make That Final Call! The Cutest New Couple Portrait Ideas We Spotted For You To Screenshot! WMG Checklist: 15 Questions To Ask Your Photographer Before Signing The Contract! What's Your Ideal Wedding Photograph? These Beautiful Answers Just Seal The Deal for Us! 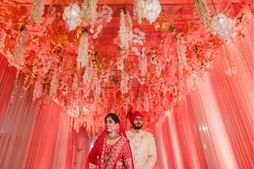 Gorgeous Kanha Destination Wedding With A Pastel Bride!